Saturday, March 29th, 2014 will go down in Far Out history as a truly epic day. 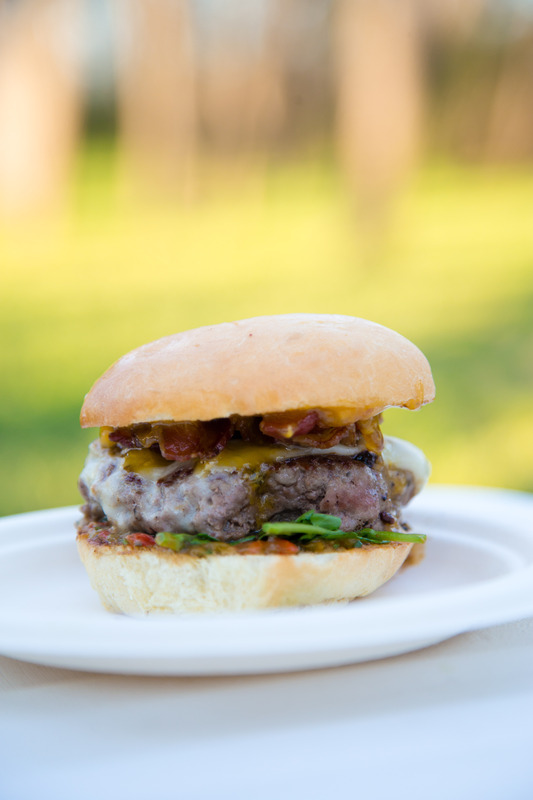 Far Out Burger was one of 13 local burger gurus participating in the Fort Worth Food + Wine Festival‘s ‘Burgers, Brews & Blues’ event — our first big event and opportunity to share our burger love with the world (of Fort Worth, TX). It was an amazing evening – the weather was PERFECT, the beer was flowing, the blues were rocking, and primo burgers were being served…including our flavor-crammed ‘Pump Up the JAM’ burger, featuring a savory Far Out patty topped with white American cheese and applewood smoked bacon, plus our Far Out roasted pepper spread, fresh watercress, and Far Out mango jam all surrounded by a delectable Far Out Bun. But what really made this burger stand out in the culinary crowd that evening was the quality local ingredients that went into it. We peeled 70 South Texas mangos and zested South Texas Cara Cara oranges for the jam. We hand-formed and baked 350 buns. 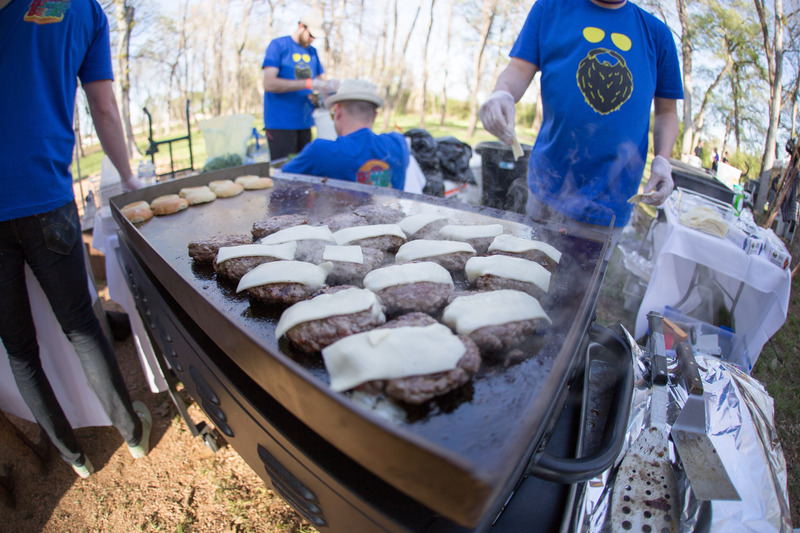 We ground 80 lbs of Central Market ground chuck and short rib and hand-formed 350 patties for the burger. We roasted over 70 South Texas poblano, anaheim and red bell peppers, handpicked 4 lbs of cilantro from Cold Springs Farm, cut smooth, creamy South Texas avocados and squeezed a lot of limes for the spread. The response we got from the festival goers was humbling, with consistently long lines it seemed Fort Worthians were buying into our groovy vision! And it all paid off in the end as we were voted 2nd place/runner-up for the People’s Choice Award for Best Burger, losing only to Rodeo Goat and their DFW.com Burger Battle champion burgers. 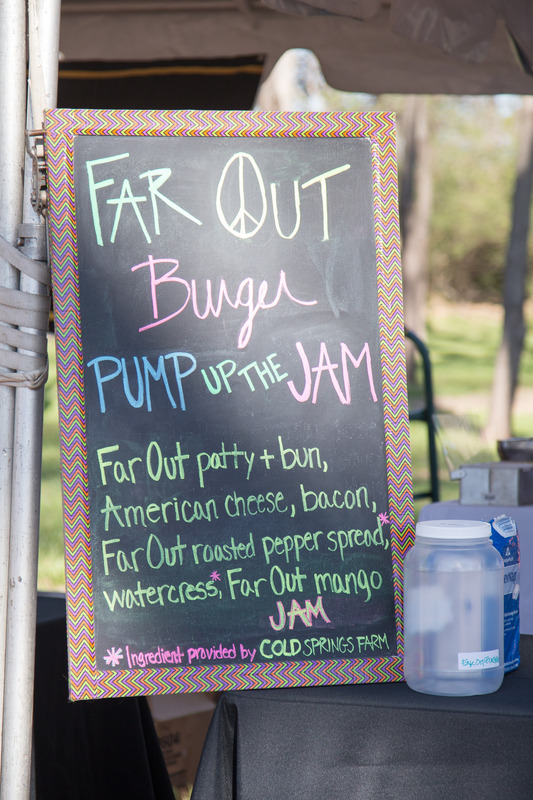 We had a great time and look forward to bringing another Far Out Burger creation to next year’s event! Be sure to check out pics from Saturday night’s event below taken by Far Out friend Kelly Phillips. 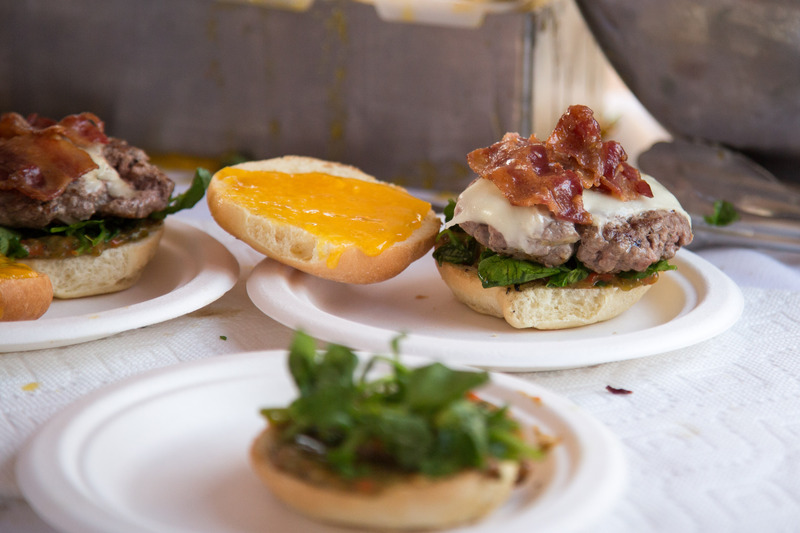 Note: If we weren’t able to chat or answer your questions at the event, or if you just want to learn more about the Far Out Burger journey, check out our updated About section.